Pere Tarrés Youth Hostel in Barcelona is a new building in one of the safest areas in the city and with very good day and night underground and bus connections to Barcelona city centre. 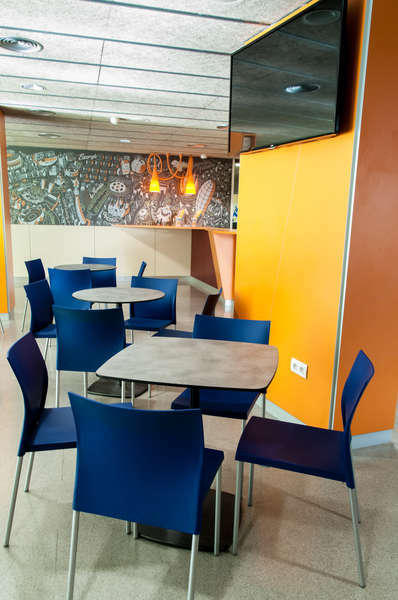 The Pere Tarrés Barcelona Youth Hostel facilities are modern and comfortable. The hostel is one of the few hostels in Barcelona where all the rooms have a private bathroom. You’ll also find a fitted kitchen where you can show off your culinary talents or, if you prefer, try our great food. Open 24 hours, Pere Tarrés Youth Hostel has a total of 320 places distributed amongst double rooms for individual use, double rooms or dormitories with 8 beds. They all have an inbuilt bathroom; as well as individual lockers. The sheets and blankets are included in the price. Without a shadow of a doubt it is one of the few youth hostels en Barcelona where you’ll find every kind of convenience. The rooms are spacious and benefit from natural light. 32 of them are adapted places in a building without any architectonic barriers. At the youth hostel you’ll enjoy a magnificent breakfast. 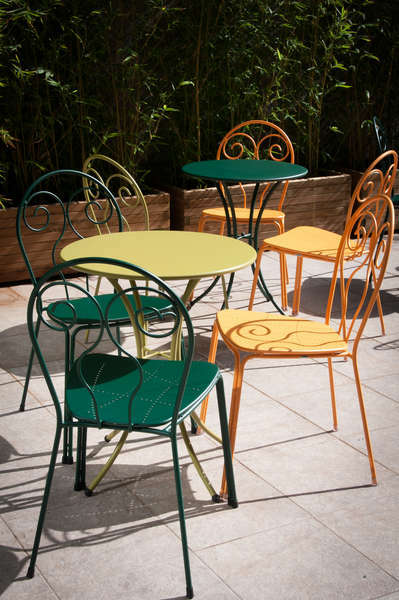 You’ll also have the chance to have lunch and/or dinner. If you fancy a picnic, just ask! 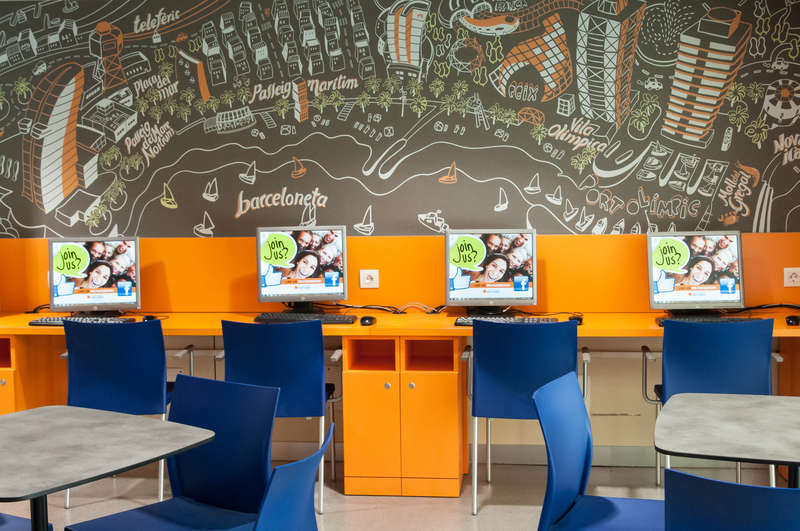 It is one of the youth hostels in Barcelona which is just perfect for groups. At the youth hostel you’ll find meeting rooms, free wifi and Internet, a laundry service, a fitted kitchen which can be used by everyone, a large terrace to enjoy our amazing climate, a ping pong table, a spacious TV room and a car park. In case of cancellation,when it is 72 hours before 10.00 h. of the arrival date, we will charge the first night of your stay on your credit card.